There were a lot of questions for the New York Rangers going into this summer. Many of them were answered within the first few days of free agency, though some are still looming. Glen Sather did what many a Rangers fan thought he couldn’t do; reel in the season’s prized free agent. In bringing in Brad Richards the Blueshirts now have a nifty center to feed Marian Gaborik the puck. Though both the winger and center are oft-injured, the two could make some magic on the ice if they mesh well. 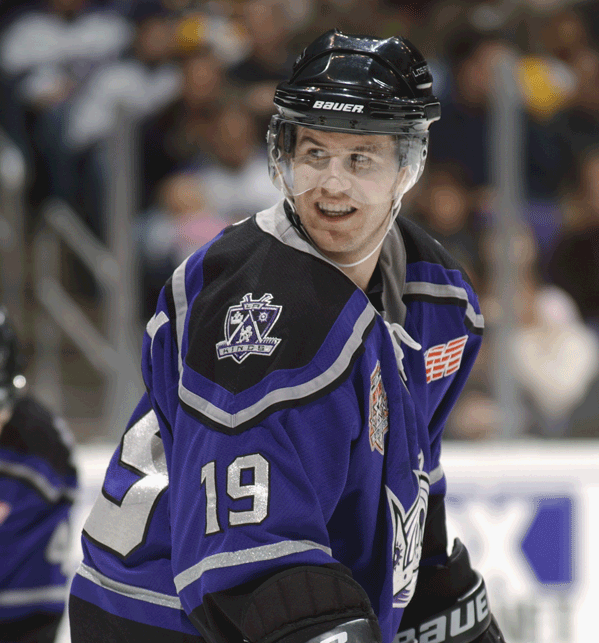 Having Ruslan Fedotenko, Richards’ linemate during their Championship in ’04, could help improve their dynamic. 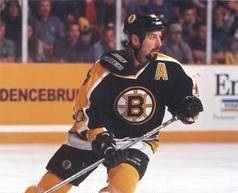 Another free agent brought into New York was Pittsburgh center Mike Rupp. The main question with the 6-foot-5 center was where did that leave 6-foot-6 center Brian Boyle? Apparently it simply meant bringing along a hard-hitting Cup winner (2003, NJ) into the fold, and not the departure of Boyle, who signed a three year contract a couple weeks later. The last thing Sather did was ensuring the stability of the Rangers ‘core’ by re-signing RFA’s Michael Sauer (2 year, $2.5m) and Artem Anisimov (2 year, $3.75m), relatively good contracts for those who would have otherwise gone to arbitration. The Rangers got away with a lot, considering how well of a rookie season Sauer had in New York. One of the last pieces of the defensive puzzle was a trade with Calgary in mid-June, bringing in Tim Erixon; who was drafted 23rd overall by Calgary in 2009. Since he had not signed a contract with the Flames, Erixon was set to be re-entered into the 2011 draft. 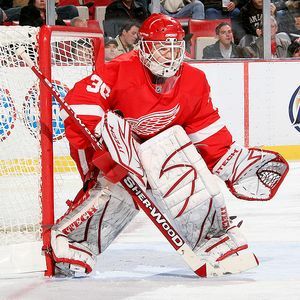 Instead, his rights were traded to his father’s former team, with whom he settled an entry-level contract with. With two more years under his belt with the Swedish Elite League, he is considered a top-ten level prospect, and is considered to crack the roster this season. The first game of the night had Rob’s Blue Jackets headed to Philadelphia to take on Dan’s Flyers. Simon Gagne got the party started with an early goal, and the Flyers held the lead through the first period. In the second, Eric Desjardins took a holding penalty, sending Columbus to the powerplay. Rick Nash tied the game towards the end of the man advantage. Kevyn Adams added a goal later in the second to put the Jackets up 2-1. 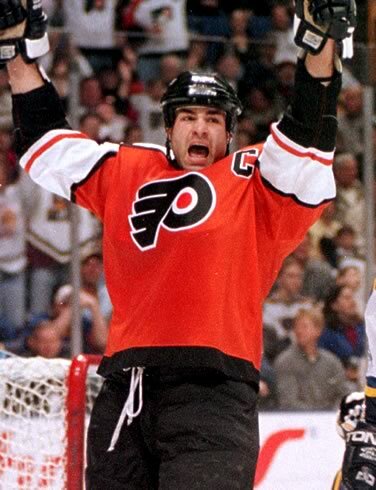 It didn’t last long; early in the third, David Vyborny was called for unsportsmanlike conduct, and Eric Lindros knotted the game back up on the powerplay. Two minutes later, Rod Brind’Amour broke the tie, and it looked like the Flyers were going to win. Until Rick Nash, once again tied it up with 2:12 remaining. 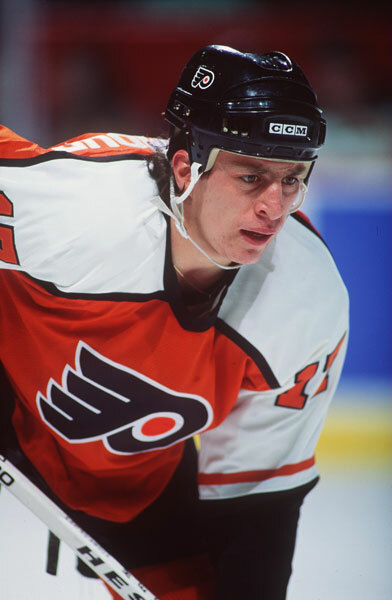 The game went into overtime, where Rod Brind’Amour once again broke a tie, and won the game for the Flyers. On Saturday was a free to the public scrimmage to cap off the Penguins rookie development camp. Approximately 4-5ooo fans attended, which is pretty impressive since there were maybe 1-2000 at regular training camp during Crosby’s rookie year. It’s a nice sign of the popularity heights that the Penguins have enjoyed for a while now. The scrimmage was two 25 minute games with periodic switches between 5 on 5, 4 on 4, and some 3 on 3 situations. So evaluations and opinions of players can be a little skewed, but then again we also missed the drills and evaluations of the earlier days in the week as well. By far the most impressive player in the scrimmage was the Pens 2nd round pick this year Scott Harrington. The London Knight showed great skating ability and quite a fervor for jumping up in the play and impressed with puck handling as well.